This is the first official glimpse of the all-new Yamaha Tracer 700 which the Japanese firm hopes will offer an extra load of practicality to the popular MT-07 range. 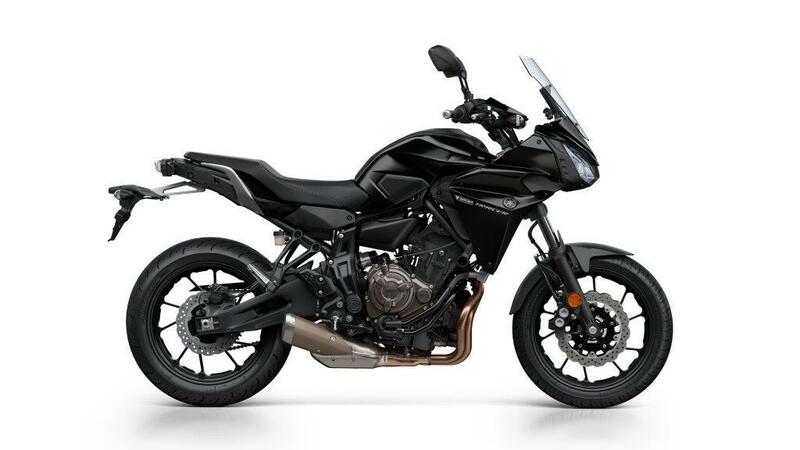 The new Tracer model is a smaller sibling to the exisiting three-cylinder 900cc MT-09 Tracer and follows the same path of adding a more upright riding position, top fairing and slightly revised mechanical parts for a bike that offers greater distance riding ability than the naked MT-07. 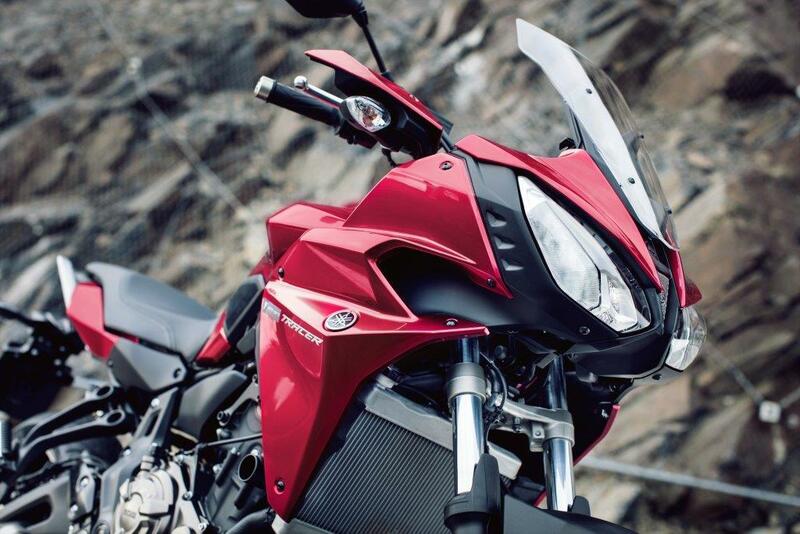 The family resemblance between the 700cc and 900cc bikes is clear to see although they can be distinguished because of the front lights and fairing being fairly different in detail. 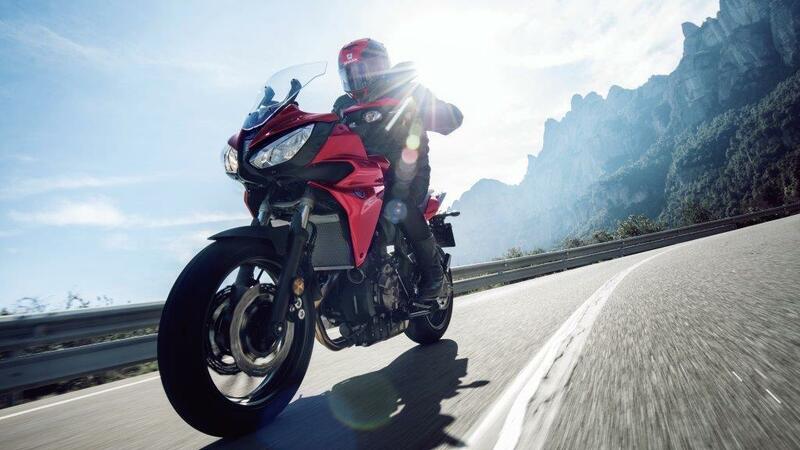 The UK price has already been set at a competitive £6299 with bikes expected to be in dealers in mid-July. The 75bhp twin-cylinder engine from the MT-07 remains unchanged but the bike has now got a 50mm longer swingarm to give a wheelbase of 1450mm. This is said by Yamaha to enhance stability when touring with a pillion and luggage. There are also changes to the suspension to match the altered chassis geometry. 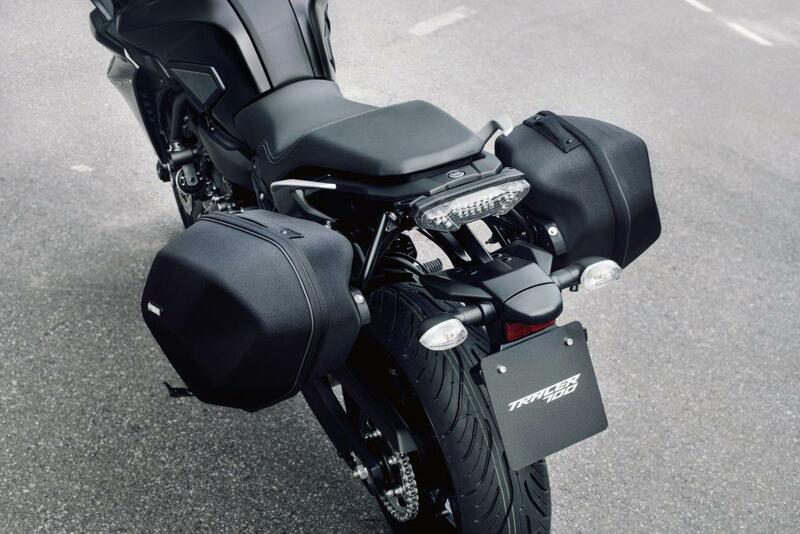 One of the most important factors for this middleweight sports touring bike is the kerbweight which is a relatively lithe 196kg. 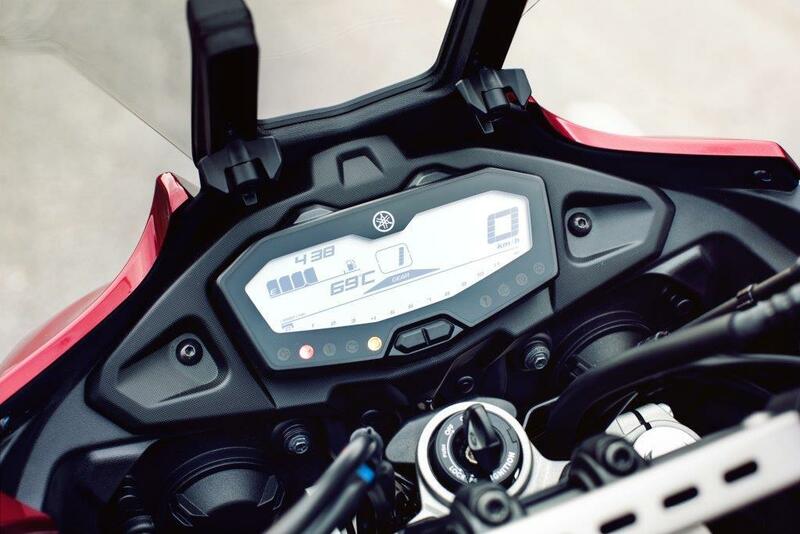 Yamaha is offering three colour options of red, blue and black. 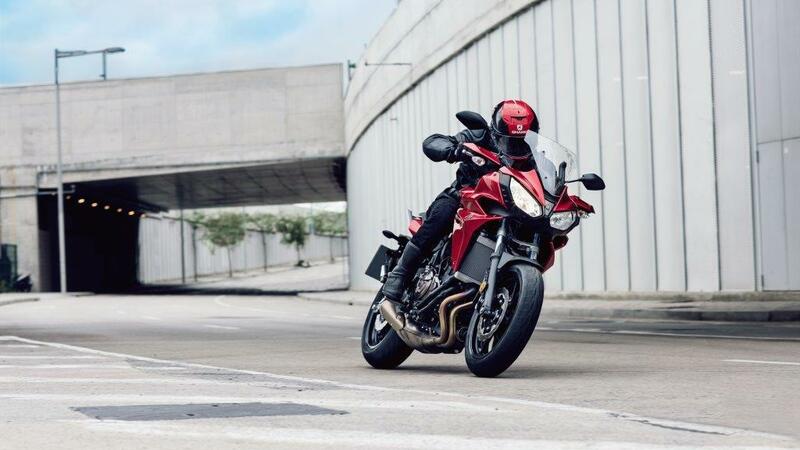 The press release adds: “Excitement has been engineered into the Tracer 700's DNA, as its compact and lightweight chassis features a tubular steel frame that has been developed from the highly acclaimed MT-07 platform. This minimalist design instantly established a strong reputation for its agile handling and responsive character, and the Tracer 700's newly developed chassis features a range of exclusive refinements that are designed to enhance its versatility and comfort while retaining a strong sporting heritage. 245mm rear disc deliver powerful and responsive braking performance, and ABS is equipped as standard.